The fascinating nature and technique performance just for the asking. 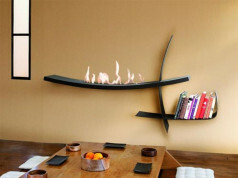 Bio fireplace Muro is the marriage of force and delicacy. The support of craziness. The contrastfulness in minimalistic shape. 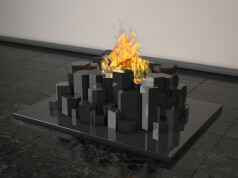 Bio fireplace created by Sebastian David Büscher, available in two size, fascinates by the puristic shape. It’s the beginning and the end, like a wall. 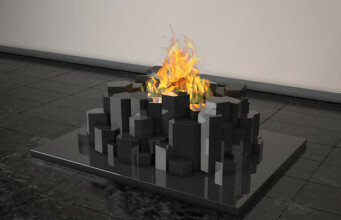 The wonderful performance of flames reflecting on the glass resembles the shadowplay. 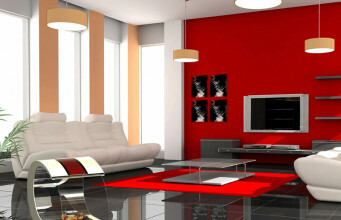 It attracts the attention and does not allow to take the eyes off. At the same time, the costruction line is so delicate, that it does not disturb the rest. Simple, geometrical shape queits, fills the modern interiors with harmony and order, allows to put everything into blissful laziness. 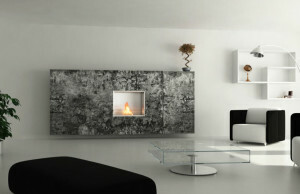 Bio fireplace Muro is the guarantee of quality. 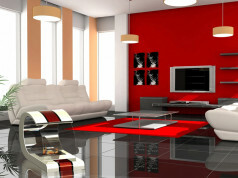 Handmade in Herzebrock-Clarholz factory joins the noblest materials, the high quality glass and thin stainless steel. The base is made of concrete strengthened by glass fiber. The unique industrial design was patented. 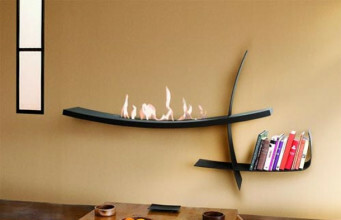 Bio fireplace Muro does not need gas installation, it can be used in almost every interior. Thanks to very light construction it’s easy to be moved. 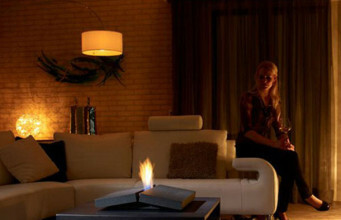 Glassed burner allows to enjoy bio fireplace Muro outside as well. It’s ready to be used just after taking out of wrapping. This device is completely ecological, so it doesn’t produce ash, carbon dioxide and other harmful substances. Moreover, during the combustion of ecological bioethanol the steam is produced, which additionally moisturizes the room. 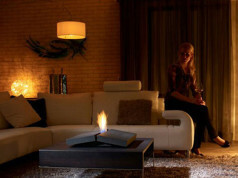 Bio fireplace Muro does not need any cleaning, and 100% of warmth stays inside.